The best form of exercise is… ALL OF THEM! The best forms of exercise are the ones that keep you coming back, injury-free day after day. That’s it. It really is that simple. Crazy, right? There are so many articles that you will read or come across when you Google anything exercise related that will tell you that HIIT is best for this or Yoga is best for that or you shouldn’t cycle if your goals aren’t in line with what cycle offers. Well, that’s all BS. Truly it is! Unless your goal is so specific that you would need an extremely regimented diet and exercise program, do whatever feels best for you and your body! If you love lifting and feel like a superhero slanging weights around, then do it! Put your hair up, grab some weights and bang out some squats like it’s your job. If you want to be strong and bendy and love the feeling of being in a lizard lunge, then guess what, you are a Yogi. 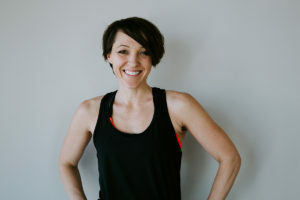 If you love the feeling of that Barre burn in your thighs, or the darkroom and heart-pounding music that comes along with cycle, then those are your workouts! I haven’t gotten to the best part yet. THERE’S MORE?!?! Why yes, yes there is. When you can find a few different forms of movement that you can mix and match together you get even better results! The best programs that I have ever seen have had a variety of strength, cardio, and stretching. There are variations of exercises, different repetition ranges, slow stretching, overloading, isolated holds, and pushing yourself to the max. You want to get involved in workouts that are going to elevate heart rate long enough to get into your fat burning or your cardio zone. That’s it and it’s not always going to be jumping around, lifting the heaviest weights or running. Guess what? It doesn’t always have to be high intensity. I know that’s a hard pill to swallow with all the articles floating around about HIIT, Crossfit, and burpees. Not that they are bad, they just have their place. As everything does in the perfect program. If you are reading this you are either a client of ours or you are thinking of checking us out! Maybe you saw this post on facebook and are a diehard crossfitter and are now thinking of ways to stalk me and tell me how wrong I am. if you don’t believe me. I get the same muscle burn from a barre class as I did from all the powerlifting. Now it is with the reduced risk of injury. Don’t get me wrong. I will still throw on heavy metal music and my weight belt and hammer out only lifts until my little heart is content. Or, leave anyone who challenges me to Tabatas in the dirt. (Bring it on crossfitter.) There is a just a better way to do it. You don’t have to be sore all the time to make a change in your body. You just have to keep showing up and challenging your body in different ways. 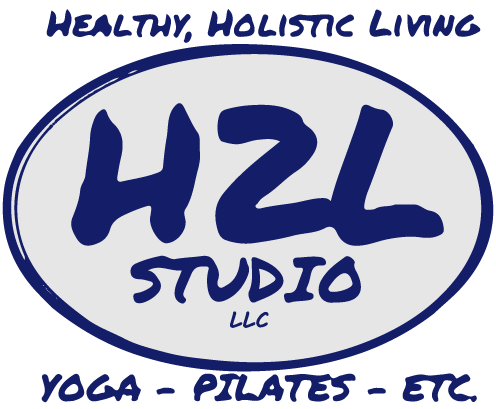 The diversity of the classes at H2L set you up for the perfect routine. You get the cardio and muscle fatigue that comes along with our interval classes. You get the deep muscle contractions and amazing ab work that comes with Pilates. You get the Barre burn that strengthens and lengthens your muscles. You get restoration of mind and body in Yoga. You get that heart pumping leg burnout in cycle. You get it all. And you will be able to see and feel the difference. So, if you are stuck in a workout rut, just starting out, or your knees feel like they will explode if you do one more heavy squat, do me a solid. Try all the things. I mean it. Try them ALL! Do not let anything keep you from getting stronger. No fears, no hesitations, no doubts, nothing! You are strong and capable and I cannot wait to hear about how much you loved that new class!